The 15 Best Restaurants in Georgia! Whether you're a true southerner craving the best buttermilk biscuit or in the mood for some Cajun heat, Georgia is loaded with restaurants that have a diversity of flavor that your taste buds are craving. Here are the top 15 picks of restaurants with the most mouth-watering recipes in Georgia. Real barbecue isn't hard to find if you're dining at Grillmaster of Perry. With the pork smoked the old-fashioned way, and the ribs and vinegar based barbecue made with the best ingredients, this joint has its customers satisfied with every seasoning. Be sure to try their BBQ pork sandwich with a side of potato salad when you take a visit, customer's agree it's the best combination plate for first-timers. Lavender Asian Bistro is an Asian-style restaurant cooking traditional foods like crab rangoon, coconut soup and shrimp dumplings. Regular customers agree that the atmosphere is welcoming, and service is great, also very affordable. This restaurant is serving prime seafood according to its regular customers. The menu consists of live craw fish, tilapia fillets, catfish and other seafood favorites. Check out this restaurant if you're in the Warner Robins area, be sure to come before 6 p.m. closing time. If you are in the Perry, Georgia area, this is a must-visit sandwich shop to try! Yoder's delivers the best fresh sliced and fresh grilled sub sandwiches. Try their customer's favorite French dip sandwich for first timers. Canoe is an American restaurant set in a beautiful location near the Chattahoochee River. This special restaurant serves more than just exquisite meals, it also provides live music concerts and an exceptional staff that gives wonderful customer service. This delicious Italian restaurant serves classic Italian dishes such as chicken parmigiana, veal Marsala, and chicken and broccoli fettuccine. The Provino family opened this fine restaurant in 1977, and has been supplying customers with authentic, Italian dishes ever since. Louisiana Bistreaux serves New Orleans style food, with traditional Cajun and Creole dishes like jambalaya, étouffée and red bean and rice. All customers agree this is a 'must visit' when you're in the East Point area. Now hot wings are America's favorite, and it seems like this particular restaurant has made a good reputation with being the best of best. 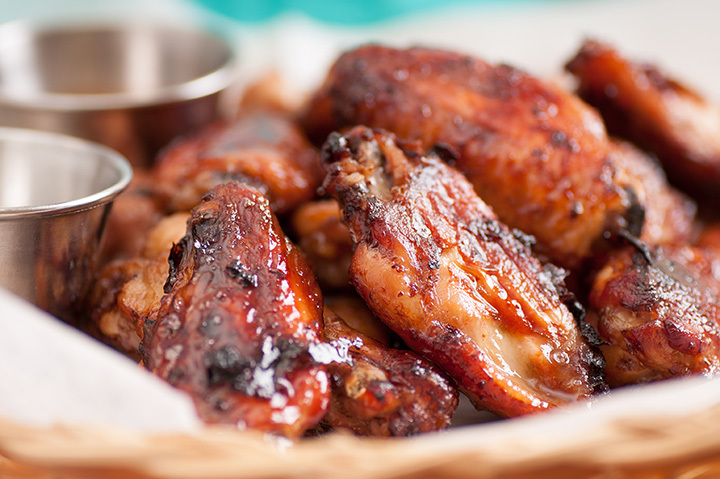 K&J Wings has their customers recommending their wings to everyone in the Henry County area. This Mexican restaurant has the best authentic, home-style Mexican food in Atlanta! Here, you can find real Mexican taste. The menu is packed with delicious foods like lobster tacos, enchiladas, taco salads and fresh salsa dip. Wang's Chinese Restaurant is the best in the neighborhood if your near Oakwood, Georgia. The food is very affordable, and served fast. This is a really good restaurant to take the family, and the staff is attentive and friendly. The Optimist is another seafood heaven that'll keep anyone coming back for more. You can expect to find the tastiest lobster rolls and gumbo here at the Optimist. This restaurant serves the finest of seafood cravings like oysters, grilled trout, and beer-battered cod. The Rookery is a great place to visit if you're looking for a good burger joint. With hand-made milkshakes and unique ways to create freshly grilled burgers, the Rookery is voted "the best burger in town." If you're in the mood for southern food, Mary Mac's has been providing a standard way of southern cooking to its customers for over 70 years. The menu has countless of traditional southern specialties to choose, from fried green tomatoes to pan fried cube steak with brown onion gravy. This restaurant definitely knows the southern way of cooking. Yay pizza! For all the pizza lovers out their Uncle Maddio's Pizza Joint should be on the top of your list. This pizza is compared closest to Boston's authentic Italian pizza. Be sure to swing by for a taste if you're in the Warner Robins area. Here is another New Orleans-style restaurant. This grill serves southern-inspired Cajun meals like Louisiana shrimp and grits, popcorn fish, and the best Cajun fries!